Alumnae News – Please keep us up to date! What type of student would be most successful at Visitation Academy? The student who is interested in academic excellence, leadership, community service, faith, extracurricular activities, teamwork and respect for others will thrive at Visitation. What are the benefits of an all-girls environment? 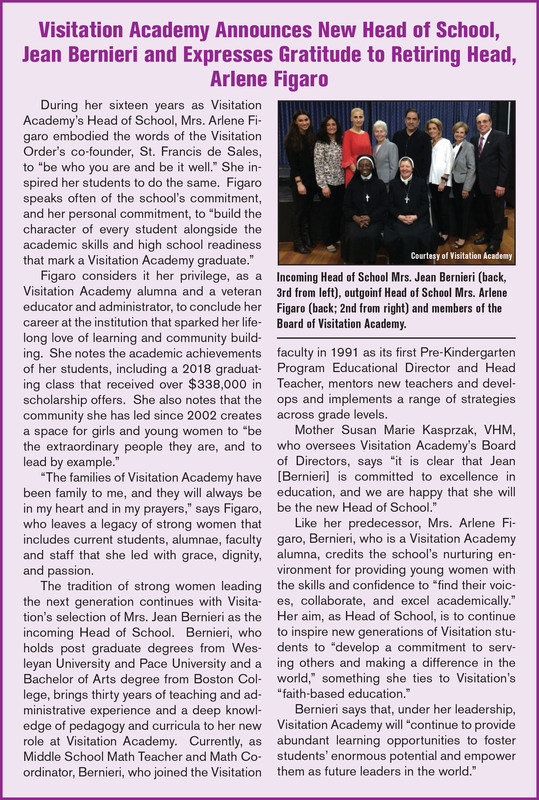 Students at Visitation receive more attention, are comfortable asking questions, are willing to take academic risks and make mistakes, build life-long friendships and grow in confidence and self-esteem. Are there openings at each grade level? Please call the school for availability. Nursery – small class size; morning and full day options. Students must be three years old or turn three by December 31st of that school year. Students must be toilet trained in order to enter our Nursery program. Do you have an After School Program? Yes. The hours of the program are from 2:30 to 6:00 PM. Monday -Friday. *PLEASE NOTE: DUE TO HALF DAYS ON SCHOOL CALENDAR, THE VISITATION ACADEMY AFTER CARE SCHEDULE IS SUBJECT TO CHANGE. PLEASE REFER TO TUESDAY FOLDER FOR ANY CHANGES IN AFTER CARE TIMES. Do you have an early morning program? Yes. You may drop your daughter(s) from 7:15 AM – 7:55 AM. 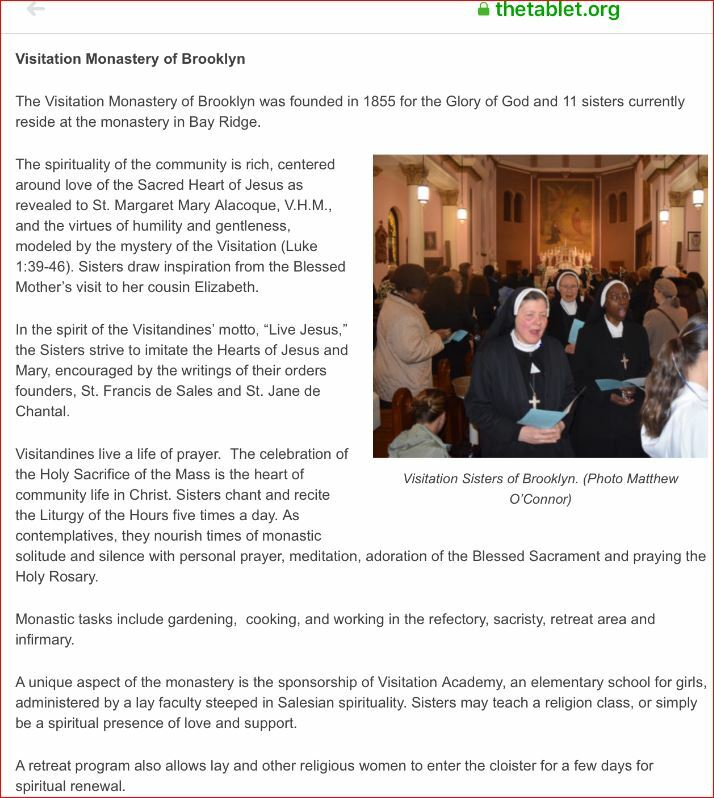 Do you have to be Catholic to attend Visitation Academy? 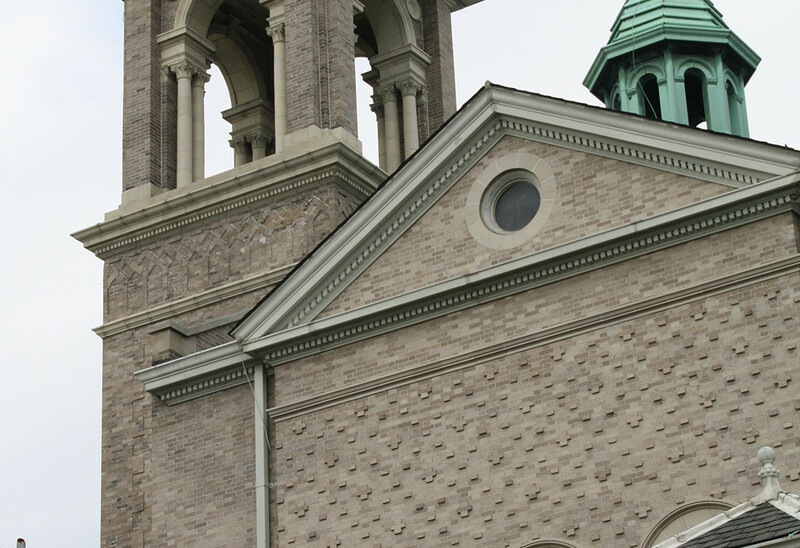 We welcome families of all faiths, which contributes to the richness and diversity of the Visitation Academy community. Tuition is a yearly fee. As a convenience to parents, it may be paid in installments through the SMART Program or directly to the school by credit card. As featured in the Wave. 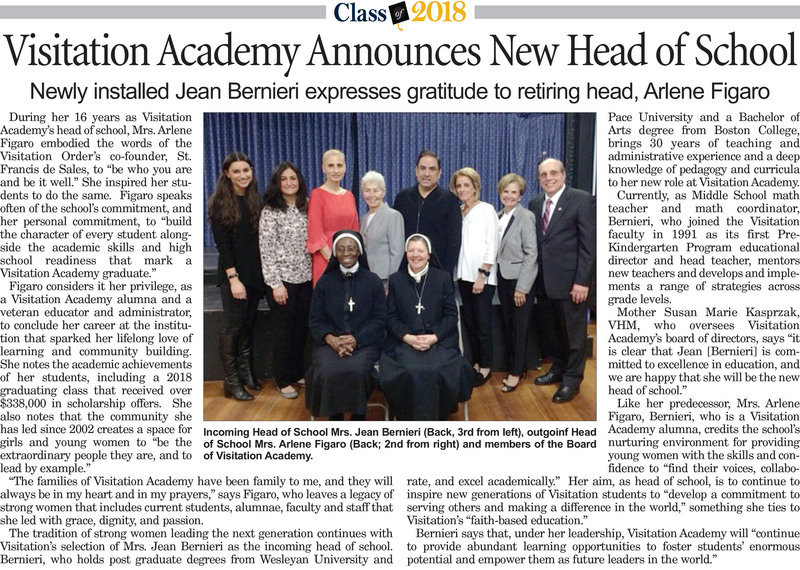 The Rockaway Wave featured Visitation Academy’s community service work in a story published January 22, 2018. The school has partnerships with several educational institutions. Its reading program was developed in cooperation with Teachers College at Columbia University. 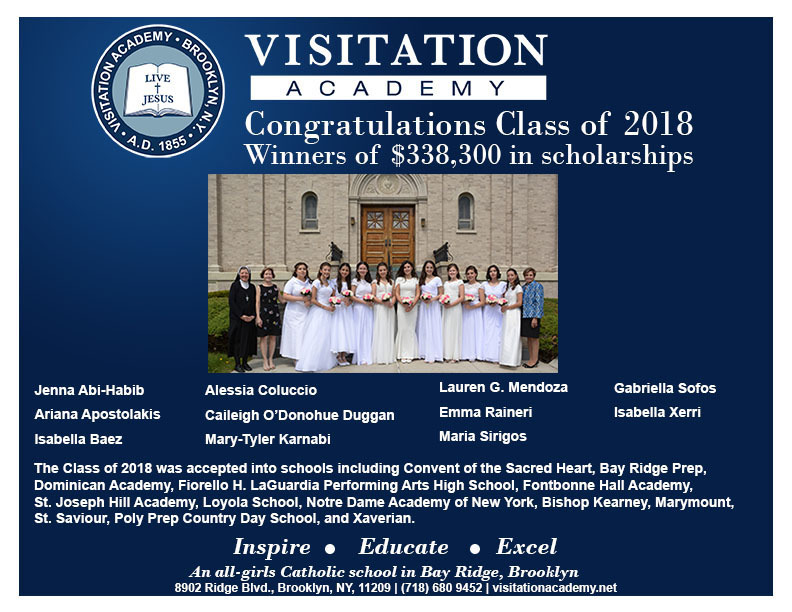 6 to Celebrate, “a dynamic program of the Historic Districts Council, and New York’s only targeted citywide list of preservation priorities,” named Visitation Academy on its list of historic locations.